Sports supplements, or ergogenic aids are always a hot topic amongst those looking to improve their work rate and performance. It has been reported that 40-70% of athletes use supplements, where approx. 84% of recreation gym goers use supplements at least five times per week ; ranging from protein powders, creatine and vitamin/mineral supplements. The same question remains; what supplements work and how much should you take? Firstly, there are many supplements that work and many that don’t, some are harmful, and some are banned. Therefore it must be stressed that the pros and cons of taking any form of supplement are recognised before making a decision to use. Furthermore, if you’re competing at higher levels, make sure you are aware of the anti-doping regulations and the banned substance list that can be found HERE and that you buy Informed Sport products only as your risk of consuming a banned substance significantly decreases. 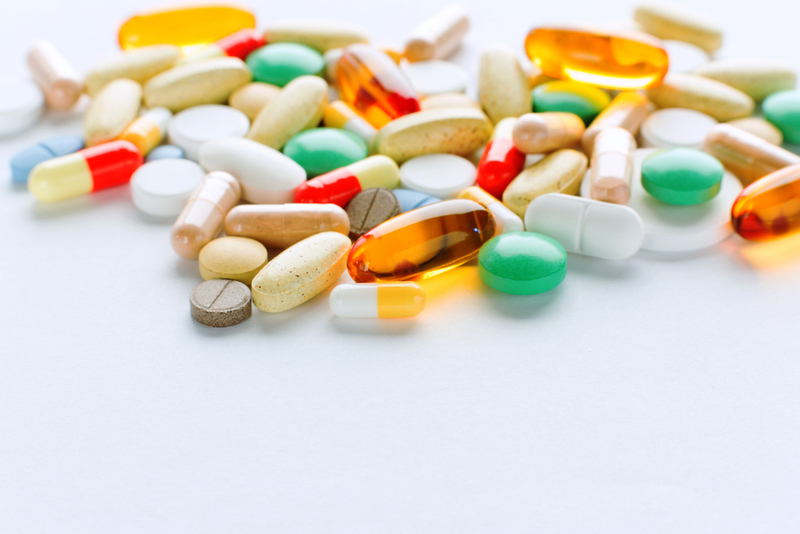 It was recently reported that 10-15% of supplements bought off the shelf contained a banned substance, such as a steroid or stimulant that is prohibited by WADA (World Anti Doping Agency). The dose of the banned substance found within these supplements isn’t necessarily enough to evoke a performance effect, however is enough to ruin the careers of athletes. Furthermore, this is why a ‘food first approach’ is always advocated; not only to reduce the likeliness of consuming a banned substance, but to benefit from the major gains associated from consuming foods. Therefore, prioritising supplement use for marginal gains isn’t going to be the most effective method for improving performance. Focus and prioritise the consumption of food first to achieve your performance goals. However, there are a handful of supplements that have strong evidence to suggest they’ll provide an added performance effect. Creatine is a molecule found within the energy production pathway (phosphocreatine) which is a driving component in producing energy (ATP) to support normal cellular function. Creatine can be found within the muscle (endogenous) or from foods (exogenous) such as; meat eggs and fish. With regards to creatine supplementation, there are many forms of creatine; however creatine monohydrate appears to be the most favourable and effective option. The goal of creatine supplementation is to saturate and increase the muscles content of phosphocreatine in order to evoke a performance response by rapidly regenerating ATP. Furthermore, the rapid regeneration of ATP through phosphocreatine is beneficial during periods of high intensity exercise, such as repeated sprinting in team sports, and during resistance training. Other benefits of creatine to an athlete include; increase strength and muscle mass, increased glycogen resynthesis, improved power output, weight gain, alertness and hydration status. Moreover, creatine offers health benefits in a clinical setting and appears to be neuroprotective, cardioprotective, likely to decrease symptoms of depression, and reductions in fatigue. Creatine usage is often associated with a loading phase (4 x 5g servings per day for 5 days) followed by a maintenance phase (3g per day) in order to saturate the muscles phosphocreatine stores quickly, however is not necessary as consuming a maintenance dose (3g) on a daily basis without a loading phase will result in the same saturation point towards the end of a cycle. Therefore, loading would be advised if time restraints are in place to achieve performance goals. Caffeine consumption in low to moderate dosages (3-6mg per kilogram bodyweight), either through coffee or caffeine tablets are effective in enhancing performance when taken 15-60 minutes pre exercise or competition. When caffeine is consumed in the correct dose, it can improve; vigilance during exhaustive bouts of exercise, high intensity exercise and exercise capacity, along with improving performance whilst sleep deprived. Higher caffeine dosages (>9mg per kilogram bodyweight) does not appear to further improve performance, and may hinder performance by producing troubling side effects such as; GI distress, mental confusion, nervousness, nausea, inability to focus and disturbed sleep – especially with those who are not habitual caffeine consumers. As caffeine elicits positive and negative effects that is related to the dose, it’s recommended that you trial different caffeine dosages in training if looking to use for competition purposes. During training and competition, consuming carbohydrates in the form of liquid, gels or semi-solid foods is advised to reduce fatigue. Carbohydrate type and amount is dependent on the duration and intensity of the exercise in a dose dependant manner. In other words, the longer you train or compete, the more you’ll have to rely on the carbohydrates from your diet in order to offset a decrement in performance. With regards to practicality, a 6% carbohydrate-electrolyte beverage (sports drink) works best and may prevent a decline in repeated sprint performances and exercise capacity. Interestingly, there is an area where carbohydrate mouth rinsing can be used to improve self selected running speeds, repeated sprint performance and power output during cycling trials when performed 15-20 minutes prior to an event. This option could be viable option to athletes who struggle with appetite/gastrointestinal distress prior to competing in events lasting approximately 30 minutes. Dietary nitrate supplements are growing in popularity within the sports performance world. Inorganic nitrate is found in leafy green vegetables and is most favourably consumed via beetroot juice. When consumed at the appropriate dose and potentially time, can improve the oxygen cost of submaximal exercise and enhance exercise tolerance and performance . Performance benefits have been noted mostly in higher intensity modes of exercise and can be achieved via chronically consuming beetroot juice (8mmol of nitrates (~0.1mmol/kg/bodyweight) – equivalent to 1 x Beet It Shots) 6 days prior and acutely, 2.5 hours prior to an event. Furthermore, the effectiveness doesn’t appear to be as strong in elite athletes, potentially due to their capacity to buffer exercise associated metabolic stress, as well as enhanced training and genetic characteristics. Therefore, it appears that its effectiveness is displayed amongst moderate calibre athletes; although performance benefits have been noted in the elite. Finally, the use of anti bacterial mouth wash may reduce the conversion of nitrate into its reduced form nitrite – therefore blunting the performance response. The role of Beta Alanine (BA) supplementation is to increase the lactic acid buffering molecule; carnosine. Carnosine is stored within the muscle cell and is release as a response to drops in pH which occurs during bouts of high intensity exercise. Therefore the goal is to increase muscle carnosine levels, where a 50-85% increase in muscle carnosine can be achieved by supplementing 3-6g of BA per day for 4-12 weeks. This can then be maintained by supplementing with 1.2g per day. Furthermore, BA elicits performance benefits in shorter duration activities (60-240 second range) where metabolic stress and acidosis is prevalent. Therefore, BA supplementation can work in both competition and training settings to delay fatigue during high intensity exercise. When supplementing with BA, a harmless tingling effect is experienced known as paresthesia which can be avoided by supplementing with a lesser dose spread throughout the day. However, the tingling sensation has no performance benefit. A second buffering agent; sodium bicarbonate (SB) is found in baking soda and is a molecule that offsets an increase in hydrogen ions that are associated with decrements in performance during high intensity exercise. This benefits exercise lasting between 1-60 minutes such as; sustained high intensity exercise (running, cycling or rowing), team sports that involve repeated sprints, or longer duration sub maximal exercise where sporadic sprinting is required. SB supplementation aims to temporarily increase blood bicarbonate levels and pH, in return decreasing the acidity of the muscle cell and being able to reduce fatigue during exercise. Acutely consuming 300mg of SB per kilogram of bodyweight (24g for an 80kg individual) 1-2 hours prior to exercise is a validated loading protocol and may have synergistic effects when taken with BA. Supplementing with SB is often associated with gastrointestinal issues, however can be avoided by splitting the dose and consuming with meals. Therefore it is essential that this supplement is trialled in training prior to using for competition.